I just came accross this great looking comporary table that is labeled on the below site as a cocktail table.. I would be a pretty cool contemporary cocktail table but as you can see from the photograph the tables has tea cup and atea pot ? 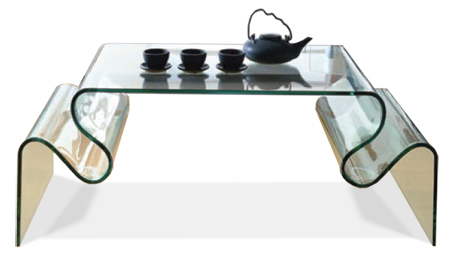 "This graceful glass cocktail table has a double bend detail that may also function as a magazine holder. Fiocca may also be ordered in any of Curvet's Colorglass TM options. Please ask for details. Made In Italy"